The underlying short-term trend continues to be positive with lacklustre movement. For the past 10-12 sessions, Nifty has consolidated within 11,750-11,550 zone. 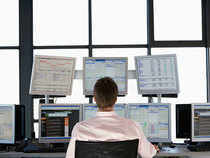 NEW DELHI: Nifty on Monday reclaimed the 11,700-mark during the session, only close a tad below this psychological level. The index formed a small bullish candle on the daily chart and saw f ormation of higher high higher low for the second straight day. Analysts believe the ongoing consolidation may continue until the index breaks out from the 11,550-11,761 zone. A closing above 11,710 may instil confidence, they said. For the day, Nifty rose 46.90 points, or 0.40 per cent, to 11,690.35, as the index found support around its five-day EMA. “On the way up, the index crossed a falling trendline on the hourly chart. However, it stumbled near the swing high of 11,710 as well as near the 78.6 per cent retracement of the recent fall. The index posted a negative close last week after seven weeks of positive gains. This means that the rally has topped out at the recent high of 11,761, which would act as a major hurdle going ahead,” said Gaurav Ratnaparkhi of Sharekhan. Nagaraj Shetti of HDFC Securities said the underlying short-term trend continues to be positive with lacklustre movement. The next intraday resistance to be watched is at 11,710, he said. “For the past 10-12 sessions, Nifty has consolidated within 11,750-11,550 zone, representing short-term sideways trend, a breakout on either side will dictate further direction,” said Rajesh Palviya at Axis Securities.